If you go back and read my blog posts from 4 or 5 years ago then there is one brand that you'll see come up again and again, a brand that I almost fell out of love with indirectly when my budget for makeup went up and I discovered new brands. I remember when MUA Cosmetics first came out as it was around the time that I started blogging, it was marketed as a budget brand and I'm pretty sure every product was £1 at the time. Since then they've really developed as a brand, with prices and quality increasing. A few months back I'd seen them pop up on my Twitter and Instagram a lot and so I decided to have a scroll through their website to see what was new and so many products stood out to me. Soon I had a basket full of products calling my name! Since then I've been trying them out and thought I'd combine my first impressions into a little haul post as there are too many products for me to individually review! So, here are my thoughts! 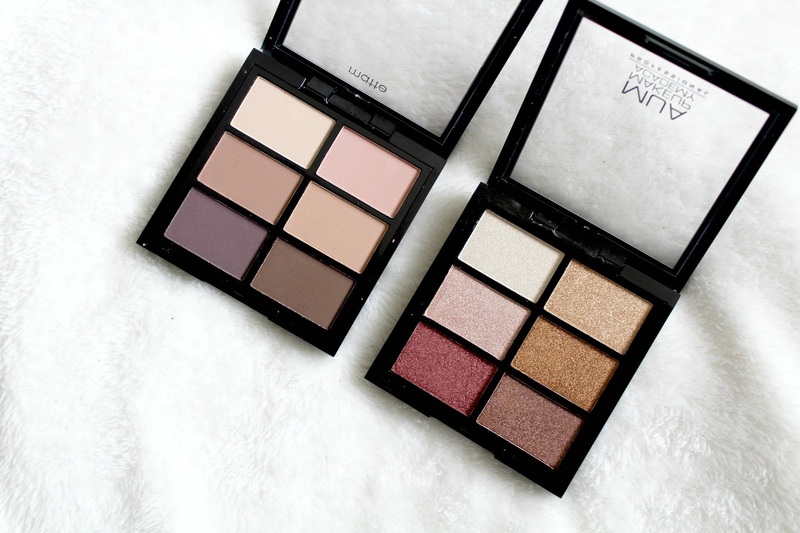 These palettes caught my eye because they are small and compact but contain just enough shades to last you for a trip away for example. I go down south to visit family quite a lot, usually for about a week and for the past few months I've only been taking these palettes (one or both) for eyeshadow and they've served me really well. The matte palette is great for a simple look, it's got brown and neutral tones in but also one shade that leans a little pink and one that leans a little purple so it's not just all browns. The other palette is a little more glitzy! All the shades are shimmery and have lots of pink and rose tones, with one gold shade as well. This is probably my favourite out of the two, all the shades are very pigmented and it's pushed me out of my comfort zone a little when it comes to eyeshadow. I'm very guilty of sticking to the same old shades so I've enjoyed adding something different into my routine. 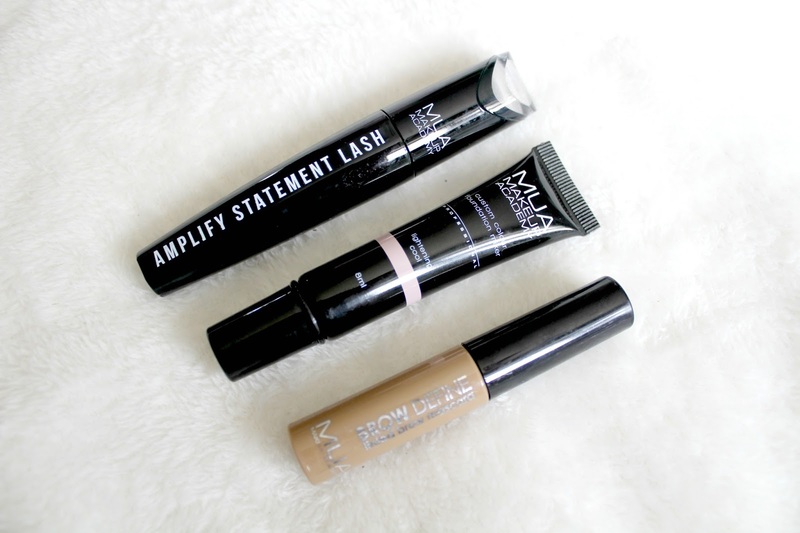 For years I've used the same powder, Rimmel Stay Matte, and thanks to it's affordability and reliability I've never had a reason to try anything else. 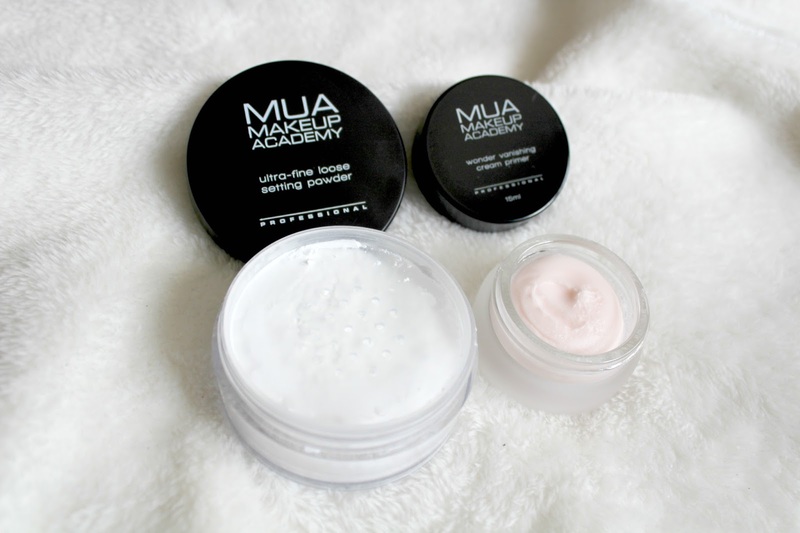 This loose powder really caught my eye when I was browsing the new products on the MUA website though. Unfortunately the first time I used it was when I had travelled down south and I arrived to open my makeup bag to see that it had spilt everywhere. I lost about half the product and I've only use it a few times, very carefully, since then because I'm so worried about it spilling! On the few occasions where I have used it though I haven't been overly impressed so I think I'll stick to my old faithful Rimmel powder! For about a year now I've been using a few different primers, none of which I truly love but they've done the job so I've been on the look out for something that I might adore and add into my regular makeup routine for a long while now. This stood out to me because it said about filling in fine lines around your eyes, and whilst I'm only 19 and don't really have any yet I do find that my concealer can crease and shift around so this appeared to be the answer to all my problems. If I'm honest though, after weeks of trying it out I'm still not sure how I feel about it. I've not been blown away. It's not a bad product, it feels nice on the skin and it does it's job as a primer I just don't think it's quite right for me. So, the hunt goes on! I picked these up simply because they fascinated me! I've no need for more blushers in my life but I remember these really catching my eye and intriguing me as I'd not seen anything similar. 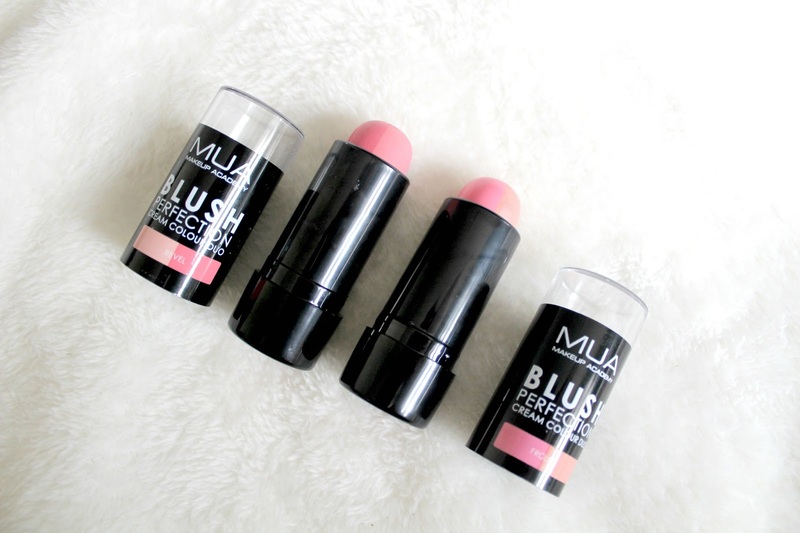 These are a blush cream stick with 2 shades in, one on each side of the stick. I had so many questions immediately including, how easy would it be to apply just one of the shades? Well, it's not impossible but it's not easy either! The formulation of these is really nice, they blend easily and they are more pigmented than I ever expected. I managed to make all 4 shades work for me too! I can't see me reaching for these too often as they don't last all day on my skin but other than that they are actually really nice to use and for £3, a bit of a bargain too. I'm just going to go straight in and be honest, I really did not like this. It didn't do much for my lashes and it started smudging after just a few hours so I've only used it a couple of times because of this. It was only £3 so it's no big loss but I'll definitely be sticking to my slightly more expensive highstreet favourites. Highstreet brands are slowly improving when it comes to offering a wide range of foundation shades but I still can't find a shade pale enough for me in most brands so when I saw this product I popped it straight into my virtual basket. I've seen products like this before, designed to adjust your foundation so it fits your skintone better, but I'd never seen anything as cheap as this. I wasn't sure if it would work but at £4 I was willing to take a risk and give it a go. It turns out it was well worth trying because I absolutely love this product! It adjusts the shade of my foundations just enough for them to match my skintone better and I don't find it ruins my foundation's formulation either, it still stays on all day and it doesn't crease either. This is probably my favourite product from my order! At the time that I ordered this product I was having a bit of a nightmare with filling in my brows and making them look natural so I picked this up on a whim. Since then though I've perfected my brow routine and this product does not feature in it. I just didn't find the shade or formulation worked for me so I'm sticking with what I know and love for now. Have you tried any new products recently? Anything that has become a firm favourite?